Most people with desk jobs spend a fairly significant portion of each day sitting at that desk. While sitting is largely unavoidable in office environments, research continues to show the adverse effects of prolonged sitting. This includes sitting and mental health. While sitting and physical health is no secret and past research has linked sedentary lifestyles to depressive symptoms, new preliminary research now suggests that sitting throughout an entire work day could be affecting your memory. To be specific, the more time a research participant spent sitting, the easier it was to predict the thinning of a specific memory-focused part of the brain. Before everyone starts to panic, more research does admittedly need to be done. However, it’s still not a bad time to address this issue. Even if these findings prove hard to replicate, staying more active and changing positions throughout the day is undoubtedly healthier. 1. Stretch. This is probably the easiest tip on the list. Stretch at your desk throughout the day. 2. Use a Sit-to-Stand Desk. Sit-to-stand desks are a great way to stay productive and on task, without compromising physical health. 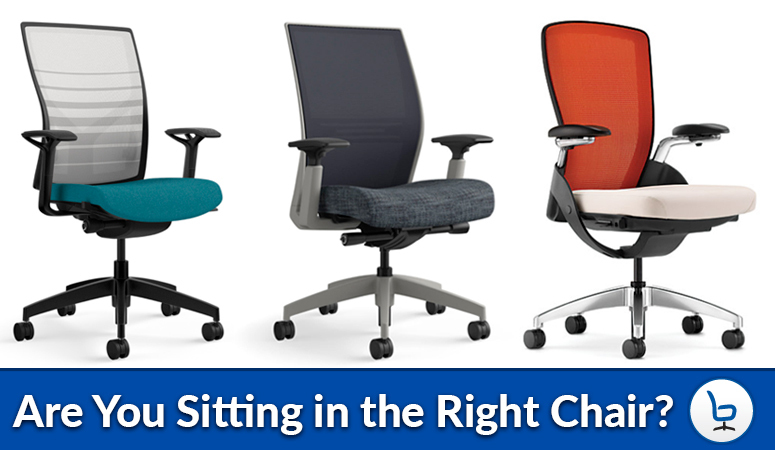 They allow you to rotate between sitting and standing as frequently as you wish. This ultimately improves circulation and combats fatigue. It may even help your memory. 3. Use the Right Chair. Sitting is unavoidable and healthy in certain doses. 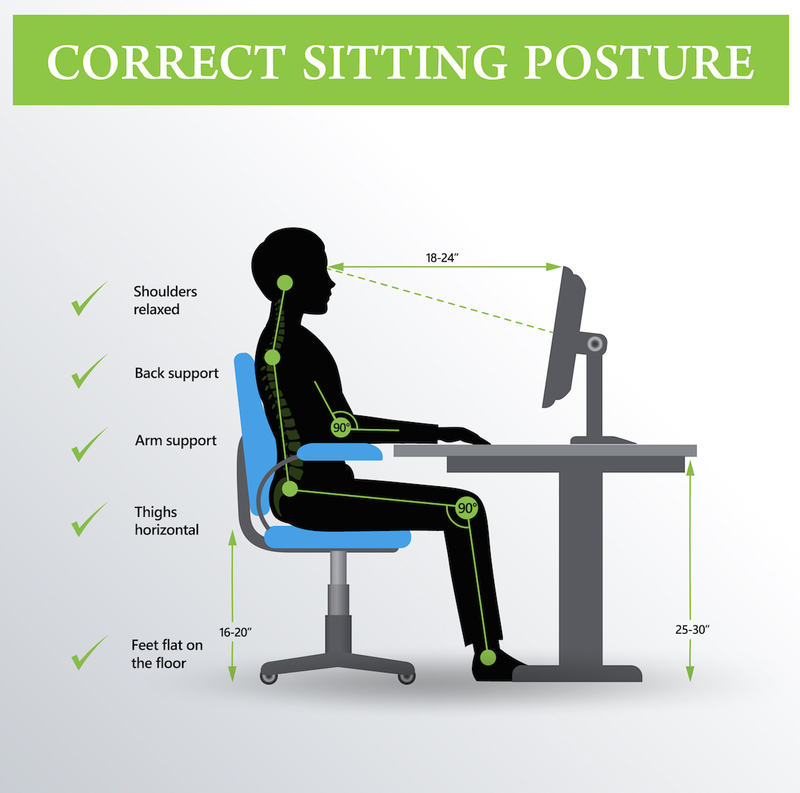 However, when sitting at a desk, make sure you use the correct chair. 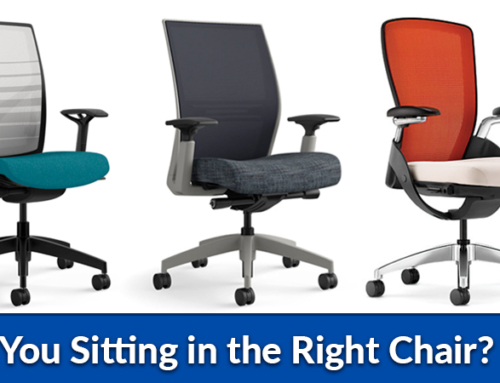 Your chair should be positioned at the correct seat height and provide proper lumbar support. 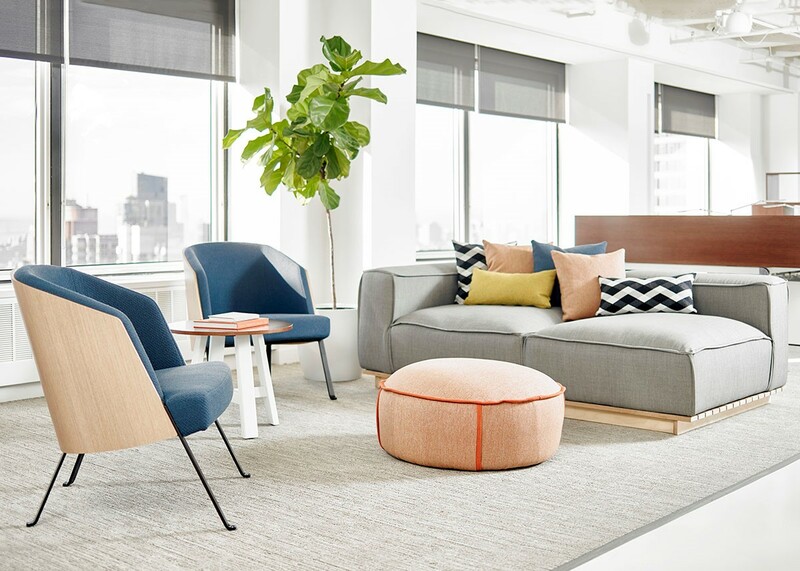 While most employees and employers don’t like the hear the negative effects of prolonged sitting and mental health, there are plenty of simple solutions. 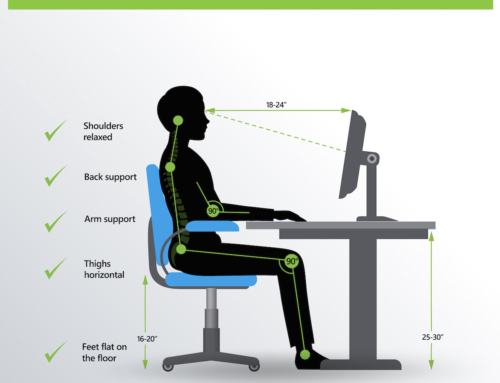 Stretch, move around and use ergonomic office solutions. To make it even easier, we will even come to your place of business and complete a free ergonomic analysis report.